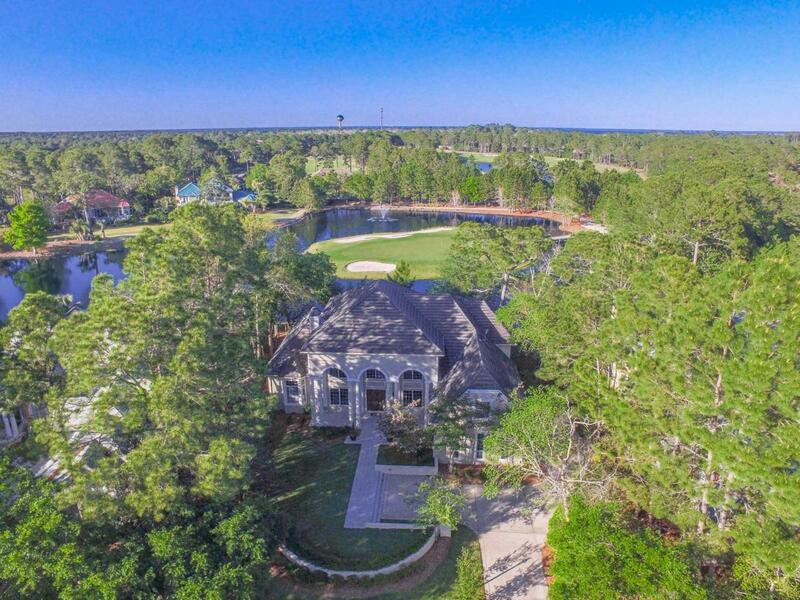 Very rare opportunity to own a fully renovated golf course home in the heart of Sandestin Beach and Golf Resort. Owner financing available at 6% interest (no income or credit verification) via a contract for deed with as little as 5% down! Recently appraised for 1,550,000, this prestigious property has been featured on numerous magazine covers. Currently being sold for more than $100,000 under appraisal, Seller will be out of the country for six months and wants to sell before he leaves. MOTIVATED...BRING ALL OFFERS.The resort offers the Gulf's finest golf, tennis, and complimentary shuttle to the sugar white sand beaches of the Emerald Coast. This is truly a lifestyle property in like new condition that comes complete with non-qualifying owner financing.Features sweeping arched windows that provide views of the beautiful water feature surrounding Island Green from its massive family room, eat-in kitchen and two master bedroom suites. Separate library can be used as office, den, mancave, playroom. or sixth bedroom. Three Cararra marble fireplaces. 5 ensuite bedrooms. Two masterbed suites (one with separate private sitting room). Hardwoods throughout. Dual staircases. Three car garage. Extensive trimwork throughout. Located in the heart of Sandestin Golf and Beach resort. The resort offers the Gulf's finest golf, tennis, and complimentary shuttle to the sugar white sand beaches of the Emerald Coast. The area's best dining, entertainment and activities are only a stroll down the jogging trails. Twenty-four hour security ensures your privacy within this award-winning, upscale, gated community The home has just had an extensive renovation from top to bottom. Brand new granite throughout. Three new Carrara marble fireplace surrounds. New stainless steel apron sink. New stainless steel appliance suite, including french door refrigerator and double wall oven. New tiled showers with frameless glass doors. Two new hvac systems with wifi-enabled thermostats. New sod and irrigation system. New granite bath counters with trough sinks. New lighting throughout. Two new 50 gallon hot water heaters. Newly refinished hardwoods throughout. New three car garage doors and motors. New paint throughout.